Every day millions of drivers share the roadways with large trucks. While these trucks are crucial for the transportation of goods, truck drivers need to drive responsibly to avoid terrible accidents. Unfortunately, thousands of roadway accidents each year are caused by negligent truck drivers and trucking companies. According to the Insurance Institute of Highway Safety, nearly 4,000 people were killed in trucking accidents in 2016; however, only 17% of these fatalities were the truck drivers themselves, the rest were innocent motorists and pedestrians. Truck accidents are deadlier than other types of motor vehicle accidents. This is due in part to the massive size and weight of trucks. Federal regulations allow trucks to haul loads as heavy as 80,000 pounds. This weight can generate tremendous and deadly force in the event of an accident. This weight also makes it much more difficult for trucks to come to a complete stop. Fully loaded 18-wheelers can take 20%-40% longer to come to a complete stop than cars – even longer if road conditions are poor or if the brakes on the truck are not properly maintained. Distracted Driving – Truck drivers are just as susceptible to distracted driving as other drivers. Changing the radio station, eating, or using a cell phone can be incredibly dangerous for truck drivers, but despite this, some drive distracted anyway. Inadequate Training – Operating an 18-wheeler is not the same as operating a regular car. Drivers need proper training to operate trucks safely. If they don’t get this training, it can easily lead to accidents. Driving Under The Influence – Although it is illegal for truck drivers to drive under the influence of drugs and alcohol, some do. Because trucks are 20 to 30 times heavier than regular cars, drunk driving truck accidents can be catastrophic. Speeding – Truck drivers sometimes ignore maximum posted speed limits in an attempt to complete jobs faster. This is incredibly dangerous considering trucks take much longer to brake. Reckless Driving – Things like lane changing, running red lights, or disobeying traffic signs might seem innocent, but these reckless behaviors greatly increase the likelihood of a truck accident. Truck Driver Fatigue – By law, truck drivers are forbidden from operating their trucks for more than 11 hours. There are strict working hour regulations to prevent truck drivers from working while fatigued, but they only work if truckers abide by them, which they often don’t. Fatigued driving can be more dangerous than drunk driving, so truck drivers who drive while they are tired are putting everyone on the roadway at risk. Unsecured Loads – Trucks often haul incredibly heavy loads. If these loads are not secured properly, truck drivers could lose control of their trucks or the loads could fall or become disconnected, causing accidents. Poor Maintenance – Trucks put on thousands of miles each year. Because of their constant use, big rigs require regular maintenance to keep them operating safely. If trucking companies do not regularly maintain their vehicles, they are putting their drivers and other motorists at risk. Who’s At Fault After A Truck Wreck? Determining who is at fault after a truck wreck isn’t always as straightforward as people think. Generally, there are at least three parties that can be held liable: (1) the truck driver operating the vehicle, (2) the trucking company, and (3) the company who performed maintenance on the vehicle. 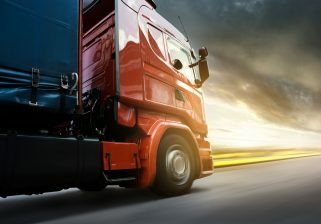 Sometimes, even additional parties can be held responsible for a truck accident, but to determine liability, victims and their families will need the help of an experienced truck accident attorney. How Can A Truck Crash Lawyer Help? Experienced truck accident lawyers will conduct a thorough investigation of the crash. This includes investigating the driving history of the truck driver involved, utilizing reconstruction experts, and preserving evidence to prove fault. Trucking companies often pressure truck wreck victims to take lowball settlements and/or deny any responsibility at all. By working with a truck crash lawyer, victims can obtain compensation to cover the cost of medical bills, pain and suffering, and lost wages, among other damages. At Sahadi Legal Group, we understand how truck accidents can devastate a family. If you are the breadwinner and suffered injuries that left you unable to work, you may be worried about how you will take care of your family. And, if you lost a loved one in a truck accident, you may feel completely alone. At Sahadi Legal Group, we work compassionately and aggressively for our clients. We know that no amount of compensation can take away the emotional pain of an accident, but we can make sure you and your family don’t suffer, unable to pay medical bills and other expenses. Contact us today for a free, no-obligation consultation.